Are you a fashion cautious man looking for trendy men fashion be it shoes for men, men's accessories or even men’s clothing? Well, look no more as Jumia Egypt has a wide collection of men clothing meant for the modern-day gentleman. Our online man fashion shop is regularly updated with variety of men’s clothing from men’s jeans, men’s jackets, trousers, pants for men, suits and shirt. Others include men casual shoes and sports shoes like running shoes, basketball shoes and men’s sneakers not forgetting designer shoe like vans shoes. Looking for Men Clothes Collection on Jumia Egypt? 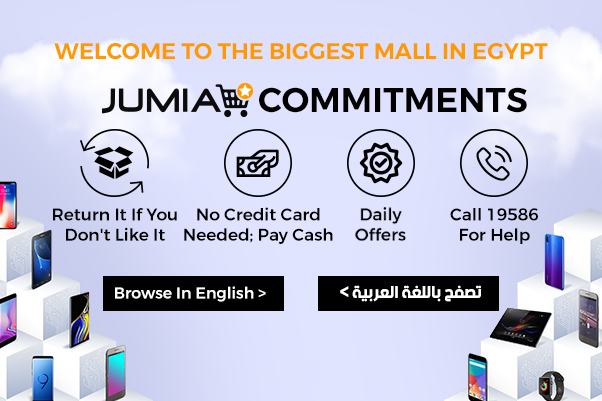 Jumia Egypt men’s fashion collection includes the Men Clothing category which has all manner of clothing items to choose from including trousers, classic shorts, round neck and V-neck T-shirts and shirts. We also have the men accessories category that is carefully selected with items such as designer men caps, pure leather belts and leather bracelets, casual leather wallets and card holders among other things. The men’s fashion cannot be complete without the & men shoes which includes official and casual shoes sneakers shoes and sports shoes. In the section you will find white shoes, black shoes, whichever color of men's shoe you are looking for you are guaranteed to find it here. Jumia Egypt men fashion collection is huge for both men’s clothes and shoes. Choose from the best brands including Under Armour, Town Team, American Eagle, Andora, Tauntte, Sunshine, Eissely, Cottonil, New Balance shoes, Ravin among others. Whatever kind of men’s clothing you are looking for be it shorts, sleeveless undershirts, pants or suits rest assured that you will find it. Shop online on our complete collection of men fashion.